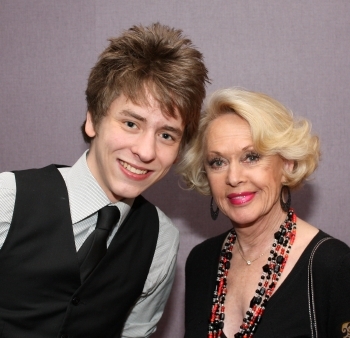 I met Tippi Hedren when she was a guest at the Autographica event held at the Hilton Metropole Hotel in Birmingham, in May 2010. She signed a photograph for me of her as Melanie Daniels, her famous character from the Alfred Hitchcock film The Birds. Tippi Hedren was born Nathalie Kay Hedren in New Ulm, Minnesota, in 1930. Her mother was of Norwegian descent, and her father (who ran a general store) was of Swedish descent. Thinking the name Nathalie a bit much for a baby, her father preferred to call her Tippi, from the Swedish word Tupsa meaning 'a little girl'. Tippi took part in fashion shows for the local department store as a teenager, and on reaching her 18th birthday, travelled to New York to begin a modelling career. With her strikingly good looks and figure, she found plenty of opportunities, including an uncredited film role as a model in the musical comedy The Petty Girl (1950). 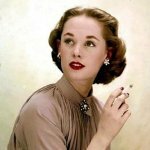 looking for an actress who had the same qualities as the actress Grace Kelly with whom he had made three films. Daniels in his horror-suspense film The Birds (1962). live seagulls and crows (their beaks held shut with elastic bands) at her during filming. 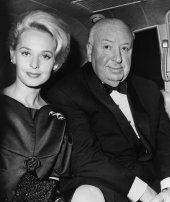 The film won Tippi Hedren a Golden Globe award for 'Most Promising Newcomer'. 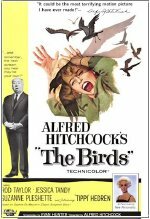 Tippi Hedren's second Hitchcock film was the psychological thriller Marnie (1964) co-starring Sean Connery. Tippi plays a thief, Marnie Edgar, who steals from her various bosses and then uses disguise to escape detection. The film was a failure at the box office, but since its release on dvd, its many qualities are being rediscovered. 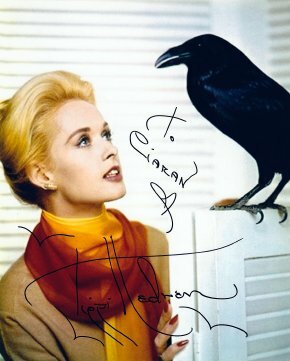 Tippi has a very distinctive autograph, which she usually completes with three flying birds! Tippi's film career had stalled. Some of the better ones were Charlie Chaplin's comedy A Countess from Hong Kong (1967) starring Marlon Brando & Sophia Loren; John Schlesinger's thriller Pacific Heights (1990); the comedy drama Citizen Ruth (1996) and the short independent thriller Tea with Grandma (2001). 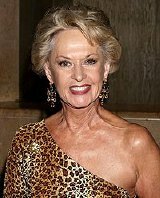 Over the past thirty years, Tippi Hedren has appeared frequently in TV roles - Shadow of a Doubt (1991), five episodes of Dream On (1994-96), Chicago Hope (1998) and ten episodes of Fashion House (2006). More recently, Tippi has co-starred with the late actress Brittany Murphy in the made-for-television movie Tribute (2009). 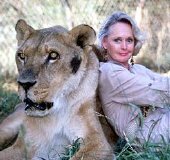 Tippi Hedren has appeared with her daughter Melanie Griffith in two films - Roar (1981) and Pacific Heights (1990). Luis Barrenechea lasted for ten years. Since 2001 she has been married to vet Martin Dinnes. 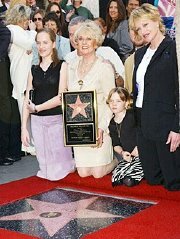 Tippi Hedren has a star on the Hollywood Walk of Fame, outside No. 7062 Hollywood Boulevard. animals. Tippi now lives at Shambala and continues to fund-raise on its behalf.